Shown in this piece is a woman crawling through the tawny grass. She was the neighbor of Wyeth and she was crippled by Polio. 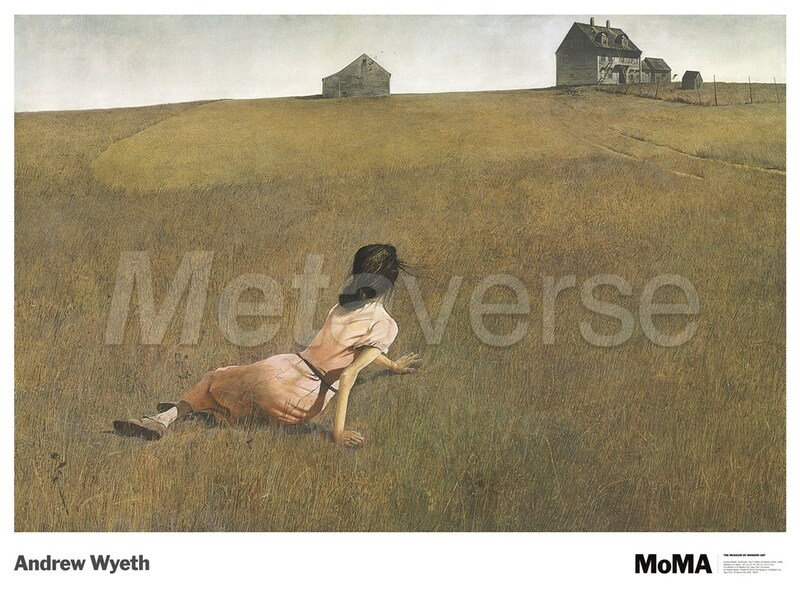 She “was limited physically but by no means spiritually” Wyeth has explained. There is great detail in this piece; each blade of grass, each strand of hair was painted with great intent. This style, known as magic realism, fills everyday scenes with poetic mystery.